Do your kids love to sing along to songs like Wheels on the Bus? Do you want them to learn about their colors and shapes? 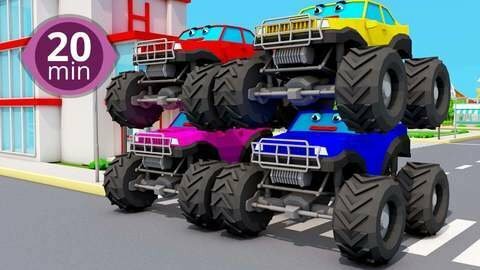 Well this 20 minute non stop car cartoon is perfect for you! Follow these silly cars and trucks around town to learn more! Go to SeeZisKids to watch more funny 3D cartoons about learning colors for kids online free.